There's something incredibly alluring about the Sony TX3. Not just at an aesthetic level but deep inside at a technical level as well. 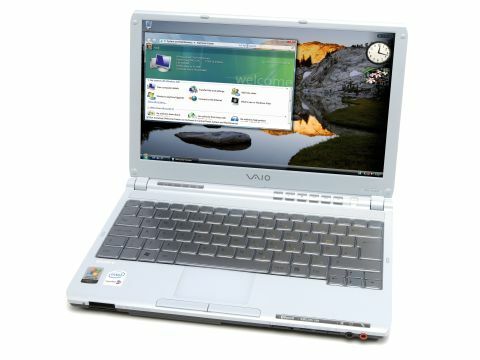 The first thing to note is the slither-thin screen closing on a less than one inch thick notebook, filling a less than A4 space and yet still featuring an integrated optical drive. This ultra mobile from Sony simply beggars belief with over a seven and a half hour real-world battery life. That result is down to a superb mix of low-power components such as the LED back-lit 11in display, the ultra low voltage Core Solo U1300, along with excellent onboard power management software that enables you to shutdown specific parts like the wireless abilities and Firewire ports. Processor power is a little limited, it struggled with a 1,080p playback as well as the encoding tasks, but it did at least complete the 3D tests. It makes up for this on a functional level by having 802.11a/b/g, Bluetooth, LAN and modem support. At a reasonable price this is an untouchable mobile system with a battery life that's perfect for anyone requiring all day mains-free use.